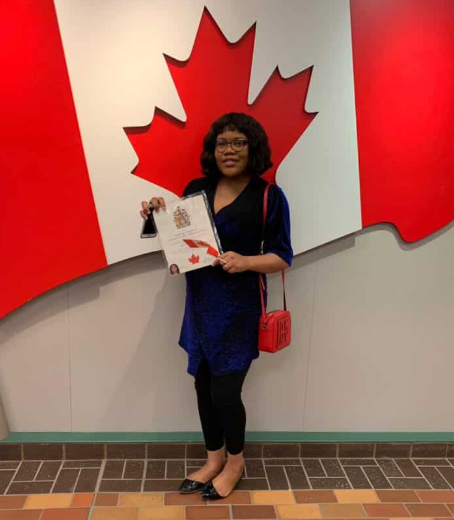 A woman has declared her intentions to burn her Nigerian passport after being granted Canadian citizenship. 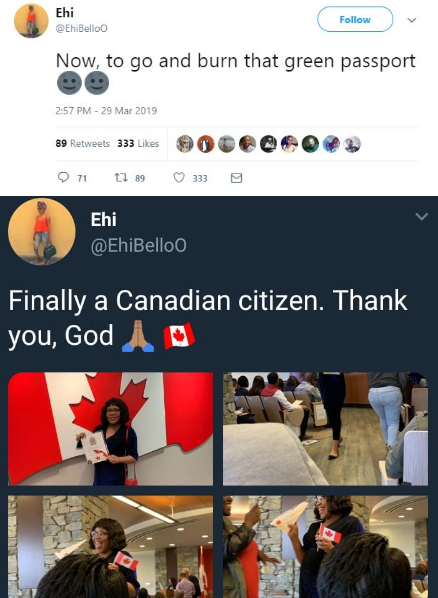 Identified as, Ehi Bello, she took to Twitter to state her intention. Funny enough, some Nigerians on social media said her reaction is because of the suffering in the country.